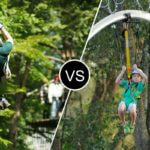 Zip Line vs. Zip Ride > AdventureSmith, Inc.
For better or worse (and that will primarily depend on how the standards are written and applied), this industry is changing and growing. Personally, I find it exciting. New technology, new opportunities, and new experiences seem to be appearing on my Google Alerts every day… and I think that is just great. At the same time, I have some concerns about the new direction of standards and the evolution of the zip line. I often receive inquiries about whether zip lines can be designed to arc, pass intermediary anchors and do physically amazing things. I also receive similar questions as to the nature of increasing cycle times and supporting a nearly perplexing numbers of riders. The answer is “yes, zip lines can be designed to arch and defy gravity” and “yes, I have a solution to reducing cycle time and supporting a perplexing number of riders.” The answer is “a roller coaster”. The good news is that it has already been invented and designers and manufacturers are available worldwide. If to traverse a length of cable between two structures a motorized trolley is required, should the ride be called a zip line? If cables are used to suspend a steel tube with arcs and undulations that thrill riders as they descend on a multi-sheave pulley, should the ride be called a zip line? These are questions that we need to answer. Additionally, there is a growing concern, perpetrated I believe by rumors and builders making grossly inaccurate claims, that hand-braking systems and systems with additional human involvement are exceedingly dangerous. First, all zip lines are dangerous. Second, recent studies by the insurance companies have shown that while there are slightly more claims on hand-braking courses, the severity of injury has been far less severe than those claims for course using other methods of control. Let’s for a second compare a few different “zip lines” through a video comparison. 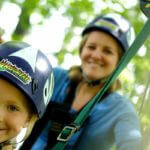 These zip lines are representative of some of the traditional zip lines and new zip line experiences that are emerging. While I am a fan of innovation and enjoyed the experience descending several of these zip lines, I found it hard to call some of them zip lines. In the example of the hand-braking zip line and camp zip line, gravity was the chief propellant. Users were given opportunities to participate in the experience either by stepping off the platform, or in the case of the zip line canopy tour, steering and controlling their speed. The Zip Rider at Icy Straight is long and fast and it was awesome! But I didn’t have the opportunity to choose when to go. In fact, I didn’t have any control in the system other than to sit there. I enjoyed the experience, but it was akin to be a passenger in a vehicle driving at high speeds rather than being the driver… and I like to drive. As the industry attempts to define and regulate zip lines, the question needs to be asked, are these all zip lines? Should each of these experiences be grouped together or are the nuances of the each of the rides different enough that multiple standards are required. I will make a bold prediction. All of the regulation and standards that are developed in the next five years will do less to reduce the risk to participants than would spending time to look ahead and define the market and develop proper terminology. 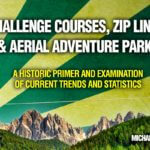 Whether a zip line is patron-controlled, operator-controlled, commercial, non-commercial, educational, or part of a sporting event are nuances that may help guide the development of standards and conversations held by professionals in the market. Adopting terminology, I believe, would be generally useful inside the market. More importantly, defining structures is the first step in the difficult process of educating the public. It has been my experience that most zip line patrons are neither well-educated on the risks or requirements of each type of zip line experience no even aware of the many types of zip lines. This can lead to confusion and a mis-alignment between consumer expectations and operator expectations. To start the process, I would recommend that zip lines be broken down into two categories: 1) traditional zip lines, and 2) zip rides. Traditional Zip Lines: Traditional zip lines require patron input (if even to just take a step off of a platform and initiate the experience). Such input may require the patron to control some or all of the following: position, speed, direction of travel, dismount, take-off. 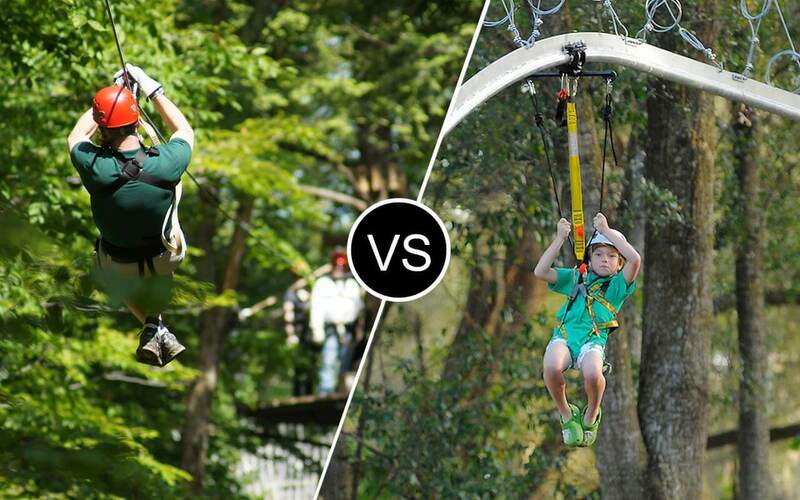 Traditional zip lines should be further broken down in to two categories: 1) brake systems that require patron input, and 2) brake systems that do not require patron input. Zip Rides: Little to no patron input is required. Input in to the system is purely for amusement and not required as part of the safety system. By more accurately defining the experience and preparing users who enter the course/ride, risk to the general public can be further mitigated without creating regulatory standards that prohibit or stifle user experience or retard innovation.